Ok so I have been thinking… we have heard a lot about different levels of prostaglandins such as DP2 or other factors that are found in high leves in the scalp of bald men compared to non balding men. Put it simply, if it was dht causing hair loss, it would happen all over as dht is same concentration in blood all around your body. As some have theorized for very long, about the galea tendon located on the top of our heads and stretches into the back… right where hair loss stops at… that horshoe pattern as its reffered to. Well hair loss is only happening where the galea is…that needs TO BE LOOKED AT CLOSELY!! WHY IS IT…?? There many theories but something I’d like to point out right now is that Tendons and soft tissues calcify when there is too much calcium and too little Magnesium in the body…Magnesium helps to restore bone remineralization and take the calcium out of soft tissue back into the bone. On the other hand excess calcium tends to deposit in soft tissue and lead to bone loss. I have started using magnesium oil(magnesium chloride) + dmso topically and also am taking liquid ionically stable Zinc which has wayyy better absorption than pills and also oral Magnesium Chloride… which is the best and most absorbed form of Magnesium… it beats Epsom salts (magnesium sulfate) by a long shot. More interesting links: Men that suffer osteoarthiritis also suffer heard disease and hair loss…all 3 have been linked before. Asian men on the other hand, who have diets high in Soy isoflavones (soy beans) and other sea minerals such as iodine, zinc, magnesium especially, dont have high instances of diseases like arthiritis or heart disease. 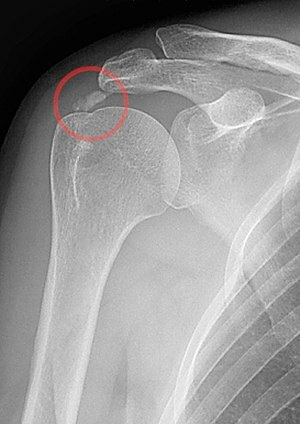 Over calcification of our soft tissue is the cause of many modern day ills. Heart attacks and disease occur when the lining of the blood vessels become deposited with Calcium. Why is it that the Western countries have the HIGHEST rate of arthiritis?? While Asians have the LOWEST… ?? Because of our high calcium diet and focus on dairy enriched with extreme amounts of Calcium. Not to mention the flouridated water. Dp2 which Cotsaleris or however you spell his name spoke about the other week, is not the beginning cause of hair loss… so It doesn’t help us too much. It was already known that hair loss leads to inflammation, psoriais etc other inflammatory diseases. Not a surprise there! SOLUTION: take out excess calcium from your diet, stop taking calcium supplements if you do and since it is impossible to completely cut off ones intake of calcium in todays society, take a lot of magnesium, which is needed to begin with. The ration use to be 1:1 in prehistoric times in cave men… now the ratio of calcium to magnesium has gone as high as 6:1. Topical Magnesium chloride in conjunction with oral Magnesium Chloride + Vitamin D3 liquid form and Vitamin K2 together will help to keep bones flexible and not brittle , keep heart safe from future heart issues, and hopefully take out all the excess calcium we have built up in our system and which leads to bone remodeling in the skull and thus shock to the hair follicles. Hope this helps someone out there! I will keep you guys posted on results of my Magnesium Chloride, Vitamin D3, Vitamind K2 therapy. » the scalp of bald men compared to non balding men. » dht is same concentration in blood all around your body. By your explanation, then, men with MPB (from DHT sensitivity) would lose hair all over their bodies until they become completely hairless. But we know that doesn’t happen. I think you have a silly line of argument here, you’re trapped in unnecessarily mechanistic thinking about outward physical shapes and their mechanical effects, which makes no sense if you comprehend how genes work in the human body – or in any organism. There is no reason to assume that the follicular cells in the entire scalp have to behave the same way and express the same phenotype at any given point in time. The truth is that cells in different areas express DHT sensitivity at different rates, depending on their location. It’s just like any other genetic trait in your body, i.e., for example why does hair grow on certain places of your leg, but not on others? It doesn’t have to do with the shape of your leg, it’s about the gene expression of different cells in different areas. The fact is, the rates of gene expression in follicular cells of the MPB areas are fundamentally different from those in the non-balding areas. This maps out to a typical “horseshoe” shape in many men, especially those with premature androgenetic alopecia. Differences in hair loss over the scalp actually have to do with different gene expression of the cells in different part of your scalp. Cells are differently sensitive to DHT depending on their location, and this is genetically programmed. In each cell there is a “genetic clock” that pre-determines if and when the cell is going to express certain traits. The cells in the follicles of the frontal and crown areas in MPB-affected men are genetically programmed to express greater DHT sensitivity prematurely. You might say that the cells in the balding areas are just programmed to “age faster”, i.e. these genes are switched on much sooner than in the non-balding areas. The cells in the follicles non-balding areas (sides and back of the scalp) are genetically programmed not to express this trait, or to express it much later, at a normal rate. You keep saying DHT causes hair loss? That was proven as bunk long time ago, at least by people who can think independently. Vitamin D is shown to increase testosterone levels in men. You can also have the same result by going out in the sun. That is a natural part of the human condition. Vitamin D is needed and testosterone as well. There is nothing wrong with either two. Now, if you honestly think “phenotypes” are difrerent whatever that means. Where is the EVIDENCE?? How can you say all of a sudden the hair right below the horshoe pattern is somehow magically different?? I am not talking about 60 year old men or 70 year old men as examples, because many men can get bald at that age,but about young guys. And tell me, by the way if dht is the cause of hair loss than why do women experience it? or why doesn’t hair loss stop in old men? because as you age , you know that your dht decreases right??? So per your laughable theory, hair loss should decrease and hair should be allowed to grow back right? But it doesnt, after the age of 30 your DHT and testosterone start to decrease, yet hair loss still continues?? The bone remodeling continues and hence you see older men with stretched foreheads and remodeled skull. At the end of all this , whats most important is for you to THINK instead of being a corporate controlled propecia supporting DHT hooligan. First, I notice that you said “why some men with heads shaped square”. Do you not mean ALL men with heads shaped square? If you’re just basing your argument on some men with square heads, it can hardly be valid because by your line and method of reasoning, it would pretty much have to be the case with all such men, or most of them, not just “some”, to be a true correlation. It could be that the heads of bald men look more egg-shaped to you, and those of non-bald men look more “square” to you. It might be that if those non-bald men lost their hair, then their heads would look more egg-shaped after they were bald. Or, even if that’s not true, it also might be true that men who have square-shaped heads and also have the balding trait reproduce less often, so those two genetic traits are seen together in much lower frequencies in the general population. This may be because they are seen as less attractive by society. In other words, the traits of “square head” and “MPB” don’t sort very well together in the population and are mutually deleterious when it comes to passing both of them on together to the next generation. Those two explanations are just speculation, but are valid ones if you’ve studied some biology, genetics, or even if you just have some common sense. Oh I can just keep going on with this to debunk Roger Thats ridiculous uneducated assertions. Asian men as the WORLD KNOWS dont experience hair loss in their 20s, 30s of even for most of them when they get old. Roger That asserts that whats in your genes is the cause of hair loss. well than they should NOT have hair loss… yet they do… asian men fed on a nasty american western diet high in dairy and sugars and carbs like flour and processed foods experience androgenetic hair loss !! So if genes were the determing factor in hair loss than hair loss should not happen to Asian men who have grown here in the United States. So if DHT and genes were the cause of hair loss than than Asian men wouldn’t get bald after eating such bad diets here in the US but their genes DONT PROTECT THEM after such abuse. Can you show some evidence that Asian men in the USA suffer from MPB at higher rates than in Asia? Do you have a link, a citation to an article for us? There is no need for an article. If I find it again I will post it. But look around you! Observe… for once use your own observations and eyes, not always be dependent on other big researchers or companies to help you with your life issues. Whatever happened to your human spirit and ingenuity? DHT decreases with age in ALL MEN, whether caucasians or white. since its DHT causing hair loss? Obviously your dead wrong as that doesn’t make sense. » There is no need for an article. If I find it again I will post it. There’s no need? Hmmm, really? OK, if you remember an article about this, surely you must recall something about it – where it was published, what journal or newspaper, or who the researchers were. Surely you must remember something about the article. » » » for us? » » There is no need for an article. If I find it again I will post it. » There’s no need? Hmmm, really? » researchers were. Surely you must remember something about the article. lol roger_that I’m entirely with you on this one… B’s arguments are based on his on subjective “experiences”. Claims that “no citations are needed” are absolutely ridiculous… not being able to show proof for your claims renders these absolutely useless. And obviously the phenotype of hair in different areas can differ, just look at the texture of your skin for example. I think we all agree that DHT is not the ONLY reason for hairloss, but I would have thought we can all agree that it plays some role in the development of mpb. Like the ones from a complete dumbass like you? WHERE IS YOUR SCIENTIFIC PROOF TO THE CONTRARY?? “lol roger_that I’m entirely with you on this one…” - is that your scientific proof to the contrary?? Anyway, there are indeed some studies/papers about “hair loss in Asians” and the first who brought this issue up (it’s the same guy who found out that severe traumatized hair follicle can regenerate) was the famous Japanese researcher Dr. Izumi Inaba, published -I think- in 1996, followed by other researchers later on. Accordingly, the common belief -independent of the cause- is still: for every balding Asian man, three balding Caucasians. That’s still the common belief. And finally concerning the cause of hair loss in Asians, some researchers still believe it may have something to do with the westernisation of Asian lifestyles. That’s all. No one is disputing that East Asian men have a lower incidence of MPB than Caucasian men. That is well-known. I can add one observation: the incidence of MPB in Korean men appears to be higher than that in Japanese, Chinese, Vietnamese, etc. men. That’s just my observation, I may be wrong, but I do seem to see more bald Korean men. But here, in this case, you haven’t given a specific citation to any research, you’ve just tried to link this conclusion – a connection to “westernization of Asian lifestyles” – to male pattern baldness. Where is the research that demonstrates that? You are just adding A to B and getting C, but you’re providing no backup. No links to any research, articles, papers, nothing. Iron_Man, you are the biggest troll of all of us here. 99% of what you write here is rubbish. You are always changing the subject of threads, sabotaging the line of discussion and adding incoherent comments that do not answer people’s questions, but run off on irrational tangents that are not connected with the discussion. I conclude that you know exactly what you are doing, and you are doing this deliberately to sabotage this website. » Caucasian men. That is well-known. » » lifestyles. That’s all. » “westernization of Asian lifestyles” – to male pattern baldness. » Where is the research that demonstrates that? WHO says it is well-known?? I mean, when YOU say, “it is well-known” - where is your proof to say that?? Who exactly says it is well-known? regarding the galea, do you know where i can see how the lymph system, blood vessel systems are spread out? like an image or something? » Who exactly says it is well-known? I didn’t expect an answer. Anyway, the REASON why I actually DO NOT want to quote/post some papers/studies, is because due to such BS papers, there are SO MANY snake oil sellers out there, who just fräudulently use and quote such “common beliefs” just for making money - that’s the reason. 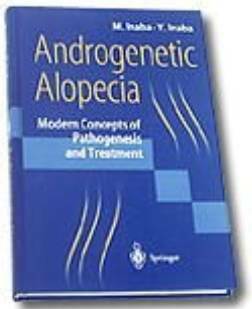 Androgenetic alopecia (AGA) is the most common type of hair loss in men. The relative strong concordance of the degree of baldness in fathers and sons is not consistent with a smiple Mendelian trait and a polygenic basis is considered to be most likely. So far the predisposing genes for AGA are unknown and we do not understand the molecular steps involved in androgen-dependent beard growth versus androgen-dependent hair loss, but AGA can be defined as a DHT-dependent process with continuous miniaturization of sensitive hair follicles. The type 2 5aR plays a central role by the intrafollicular conversion of T to DHT. Due to the inceasing knowledge in this field, this article shall privide an critical overwiew of recent discoveries. Anyway, and THAT exactly is THE PROBLEM - thousands of snake oil sellers out there fräudulently abuse such papers for “scientific proof” to sell their snake oil products … THAT’s the problem. Because real AGA, has absolutely nothing to do with malnutrition or diet in general or smoking. Do you want to know why? » sensitivity at different rates, depending on their location. Utter nonsense. Show me the proof for “the truth”. » expression of different cells in different areas. Utter nonsense. Show me the proof. » areas are fundamentally different from those in the non-balding areas. » with premature androgenetic alopecia. » cell is going to express certain traits. » later, at a normal rate. » » “westernization of Asian lifestyles” – to male pattern baldness. » » Where is the research that demonstrates that? » WHO says it is well-known?? You said it right there. You provided the argument, the reference, and the assertion that it’s a common belief. That’s equal to “well-known”. Are you a complete idiot, or just pretending to be one for our entertainment? What evidence is there that East asian men suffer more from hair loss when exposed to a western diet? This is a genetic trait fuelled by androgenic causes, can we move on from these bizarre theories about head shape and diet? Also, serum DHT levels are not very important. What is important is DHT levels in the target tissue. There is not that much DHT floating around in the body, it primarily exists at the target tissue.